On July 2, Bucks County's Peddler's Village will host their "Red, White & Blue BBQ Bash," celebrating the Fourth of July. During the day, there will be live music and old-fashioned games to accompany a barbecue picnic on the Main Green. In the evening, a patriotic-themed murder mystery dinner theater show will take place. 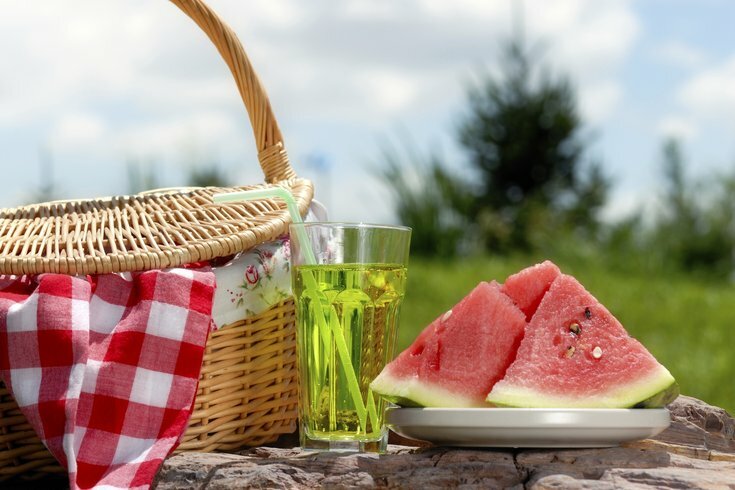 Games include a water balloon toss, three-legged race, candy jar guessing contest, hula hoop contest, sack races and a watermelon eating contest. At 7 p.m., the show "Life, Liberty and the Pursuit of Death" will begin. The cast includes Ben Franklin, Molly Pitcher, Dr. Thomas Bond, Sam Adams and Madame Brillon, who must all work together to solve a mystery from the American Revolution. Reservations (215-794-4051) are required for the dinner theater show. "Red, White & Blue BBQ Bash"